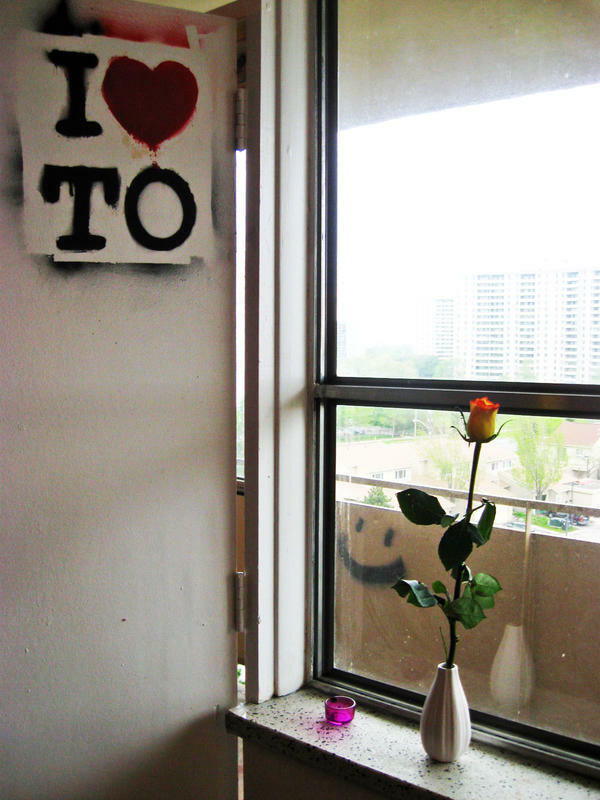 ← Jane and Finch living. I can’t go on without Your love… and I’ll never have to. The first few days of internship have been great. The new interns are all amazing. Our new roommate, Sarah, is really fun, really nice, and really solid in Christ. The new intern at my camp is great; I can tell already that the kids will love him. I got to see some of my kids yesterday, it was great. In theory it’s all going great. Even so, for some reason these past few days have been incredibly hard. I’ve had an awful feeling deep down that I’m having trouble explaining. I realize now that I’ve been leaning on too many things that aren’t stable, when my rock should only be my God who’s always faithful. The first day I felt absolutely dizzy emotionally. I was sure that if one of the boys who had lived down the hall, one of the boys who had become like brothers over the past year, if one of them was there I wouldn’t feel like I was going to fall over. If it’s not built on God it’s going to topple over. I’m sure I learned that when I was four singing the “the foolish man built his house upon the sand…” Of course Mrs. Madeline always made sure we understood and we would sing “So build your life on the Lord Jesus Christ”, four year olds aren’t good with metaphors. So I can’t build on my friends always being around, or on my kids all coming to program, or even on getting to be at Urban Promise. That’s a blessing that God’s given me for now… but if I just build my life on Him I’ll be able to be thankful for the next thing He has me do. No matter where He leads me… He is going ahead of me and preparing the way. I think I’m starting to work this all out.